On June 6-7, 2018, the 24th Annual Meeting of the Swiss Society for Biomaterials and Regenerative Medicine (SSB+RM2018) took place at the Adolphe Merkle Institute (AMI), in Fribourg. 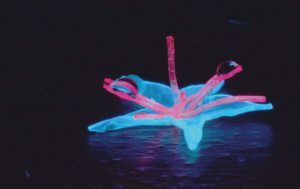 Besides general topics in the field of Biomaterials and Regenerative Medicine, the special topic of the conference focused on “Bioinspired Materials”. Prof. Peter Fratzl, Max Planck Institute of Colloids and Interfaces, Munich. Prof. André Studart, Complex Materials, Department of Materials, ETH Zürich. Prof. Christoph Weder, Adolphe Merkle Institute, University of Fribourg. Dr. Benjamin Pippenger, Institut Straumann AG, Basel. A Young Scientists pre-conference workshop took place on the morning of June 6, 2018 with 25 participants. The topic of the workshop was: “How to target and get the perfect job for you: career workshop on job interviews, CV preparation, networking and much more. The workshop was animated by Daniela Gunz, from the Career Services of the University of Zürich. Four consecutive sessions took place over the 2 days of conference: Session I on Bioinspired Materials, Session II on Biomaterials, Session III on Bioinspired Materials and Regenerative Medicine and Session IV on Open Topics. All presented abstracts are published on the eCM conferences website. A Welcome drink & Conference dinner was organized for all participants at the Restaurant Le Commerce in Fribourg. A very friendly and entertaining evening, with many opportunities of networking in an informal atmosphere. The 2018 SSB+RM Research Award was presented to Ulrich Blache, ETH Zürich, for his PhD thesis on the “Fate and potential of MSCs in micro-vascularized tissue models”. The Organizing committee wants to gratefully thank the SSB+RM sponsors for their support as well as the AMI for hosting this meeting. During the general assembly of the society, David Eglin was re-elected as President of the SSB+RM. The Executive Committee (EC) was re-elected, with two changes: Mrs. Queralt Vallmajó Martin was elected as new member of the EC, while Prof. Pierre-Etienne Bourban decided to leave the EC after more than 10 years and was elected honorary member of the EC. A picture of the newly elected EC is shown below. Newly-elected EC, from left to right: M. de Wild, M. Zenobi-Wong, L. Galea, M. Morgenstern, D. Eglin (President), Q. Vallmajo-Martin, A. Scherberich, M. Rottmar, M. Ehrbar. J. Conde (Absent). The 25th Annual Conference of the Swiss Society for Biomaterials and Regenerative Medicine (SSB+RM2019) will take place on May 22-23, 2019 at the Fachhochschule Nordwestschweiz (FHNW) in Muttenz. The special focus will be on “Resorbable Materials”. On May 17th and 18th 2017 the 23rd Annual Meeting of the Swiss Society for Biomaterials and Regenerative Medicine (SSB+RM) took place at Empa in St. Gallen. Besides general topics in the field of Biomaterials and Regenerative Medicine the focus theme of the conference was on “Advances in Antimicrobial Biomaterials”. A Young Scientists pre-conference workshop took place on the morning of May 17, 2017 with 13 participants. The topic was “Training for scientific writing: Tips and Tricks” introduced and moderated by Prof. Martin Stoddart, Scientific Editor of the eCM Journal. After the session on “Antimicrobial materials: from development to testing”, some Industry Talks and Rapid Fire Posters were presented. This was followed by a session on clinical needs and industrial developments of antimicrobial materials. The next day had two sessions on general Biomaterials and its open topics and questions. All presented abstracts are published on the eCM conferences website. Fabian Passini, ETH Zürich, with his contribution entitled “Calcium Signaling in Tendons: An Early Response to Mechanical Loading” and Willemijn Boot, ARI Davos, with her presentation “FISH-based detection of bacteria in orthopedic implant-related infections” were awarded the best oral and poster presentations, respectively. The 2017 SSB+RM Research Award was presented to Claudia Loebel, ETH Zürich, for her PhD thesis on “Engineering hyaluronan-tyramine hydrogels to modulate mesenchymal stem cell behavior”. The SSB+RM sponsors are gratefully thanked for their support. Katharina Maniura was thanked for her excellent and dedicated service to SSB+RM as its President. David Eglin was elected as the new president of the SSB+RM. The 24th Annual Conference of the Swiss Society for Biomaterials and Regenerative Medicine will take place on June 6-7, 2018 at the Adolphe Merkle Institute, Fribourg. The special focus will be on “Bioinspired Materials”.  On June 9-10, 2016, the Swiss Society for Biomaterials and Regenerative Medicine (SSB+RM) held its 22nd Annual meeting at the Schulthess Klinik in Zürich. The topic of the conference was ‘Biomaterials in Translation’. After the industrial translation session, industry and academic rapid fire presentations were held. The Young Scientist’s Session was introduced and moderated by Janine Condé and consisted of 5 PhD student presentations followed by an inspiring lecture by Prof Katrien de Bock. The following day had a Clinical Translation session as well as a session on “Open Topics in Biomaterials”. All presented abstracts are published on the eCM conferences website. Queralt Vallmajo-Martin with her contribution entitled “Deciphering hematopoietic stem cell niche factors in bioengineered human bone marrow models in vivo” and Emma Cavalli with her presentation “An in-situ Crosslinkable, Adhesive Scaffold for Cartilage Repair: in vitro and in vivo Characterization“ were awarded the best oral and poster presentations, respectively. The 2016 Research Award was given to Andreas Schmocker, EPFL, for his PhD thesis on “In situ photopolymerized composite hydrogels for implants: Application to a nucleus pulposus replacement”. The SSB+RM sponsors and the sponsors of SSB+RM 2016 are gratefully thanked for their support. Giancarlo Rizzli was thanked for his excellent and dedicated service to SSB+RM as its treasurer and has been named a life-time honorary member of the society. Katharina Maniura was re-elected as president of the SSB+RM and Laëtitia Gallea was elected as its new treasurer. The 23nd Annual Conference of the Swiss Society for Biomaterials and Regenerative Medicine will take place on May 17-18, 2017 in Empa, St Gallen. In 2015, the Swiss Society for Biomaterials and Regenerative Medicine (SSB+RM) organised a two-days conference together with EPFL which was dedicated to ‘Biomaterials: past and present’ combined with the 21th Annual Meeting and the celebration of the 20th anniversary of the Society. During 20 years, major innovations in biomaterials, design, fabrication and performance have improved our quality of life. Today, tissue engineering and regenerative medicine are exploring and adding new opportunities. Interactions between research, industry and clinics have continuously been promoted to reach sustainable applications in tissue and organ repair or regeneration. The founders and alumni of the Society met on June 8th to share their experience and souvenirs with the current executive committee members. Prof. Sally Mc Arthur: “Biomaterials research in Australia”. After rapid fire presentations by industry (Dentsply Implants, anfass, Cellec Biotek, Nano Bridging Molecules, Stemedica and IBI), sessions took place on Biomaterials, Biofabrication and Regenerative Medicine with 24 oral presentations from industry and academy. A Young Scientists Forum with a lecture by Simone Rizzi (QGel), 4 industry exhibitions, 48 posters and many direct contacts between the 120 participants allowed to share past experience, current challenges and future ideas. All presented contribution abstracts are published on the eCM conferences website. Sonja Kracht with her contribution entitled “Ag-nanoparticle formation via electron transfer through peptides” and Daniela Frauchiger with “Silk membrane-fleece in combination with genipin-enhanced fibrin hydrogel for annulus fibrosus repair“ were awarded for the best oral and poster presentations, respectively. The 2015 Research Award was given to Alexandre Larmagnac, ETH Zürich, for his excellent PhD thesis on “Novel neuroprosthetic devices for spinal cord stimulation in paralyzed animals”. The SSB+RM sponsors and the sponsors of SSB+RM 2015 (Nano Bridging Molecules, Stemedica, IBI, and the Institute of Bioengineering at EPFL) are gratefully thanked for their support. Paul-Henry Vallotton was acknowledged for his unique contribution as president of the SSB+RM and Christine Wandrey for her work as committee member and dedicated secretary for many years. Both were elected as Honorary Members. Janine Conde, Martin Ehrbar, Björn Olbricht, and Andreas Zumbühl were elected as new Executive Committee members. Katharina Maniura is the new president of the SSB+RM. The 22nd edition of the annual conferences of the Swiss Society for Biomaterials and Regenerative Medicine will take place in June 2016 at the Schultess Clinic in Zürich. The annual conference of the Swiss Society for Biomaterials and Regenerative Medicine (SSB+RM) was organized in Basel on May 7–8, 2014 for the second time. Medartis AG hosted the event with about 80 attendees working in clinical, industrial and academic environment; many of them being students at Swiss universities and abroad. L. Galea, B. Müller, P.-H. Vallotton, and M. Zenobi-Wong selected the oral and poster presentations from the submitted abstracts and compiled the scientific program with 22 oral and 18 poster presentations in sessions covering this year’s focus Ion and Molecule Release and the regenerative medicine besides the general topics. As in 2013, the conference took one and a half days long. The afternoon of the first day was dedicated to young scientists with oral presentations from students and two invited speakers. Dr. Adrian Spiegel, Head of Research at Madartis AG, gave an introductory speech on materials science from the implant industry point of view. The other invited speaker, Dr. Morten Foss, from iNANO, Aarhus University, Denmark, presented the successful technology transfer from his university to a start-up company in the field of biomaterials science. L. Galea organized several supporting measures for the young scientists including mentoring and feedback from voluntary experienced scientists as well as a dedicated session with rapid-fire presentations of the student’s posters. Both the students and the established researchers appreciated her committed approach. She also gained merits in organizing the apero and conference dinner offered to all participants with the aim to promote the networking among the established and incoming scientists. On the second day, the clinician PD Dr. Kathrin Scherer Hofmeier from the Allergy Unit of the University Hospital Basel opened the session on Ion and Molecule Release. She presented data from numerous patients with symptomatic metal implants and prevalence of metal sensitization. After the session on Ion and Molecule Release and the rapid-fire presentations of posters from students the General Assembly took place. The lunch break with tasty vegetarian food was integrated into the poster session. Subsequently, the Regenerative Medicine session with the invited talk of Prof. Dr. Ivan Martin, Head of the Tissue Engineering team at the University Hospital Basel, covered the recently established focus, before the topics of general interest completed the conference. Matti Kesti and Christopher Millan obtained ex aequo the student award for the best oral presentations with the titles “A novel bioink based on thermo- and photo-triggered tandem gelation for cartilage engineering” and “Modified polysaccharides for rapid microtissue formation: the QuickStick technique”, respectively, and Claudia Loebel the student award for the best poster presentation entitled “Precise tailoring of hyaluronan-tyramine hydrogels using DMTMM conjugation”. The abstracts of the presented oral and poster contributions will be published as a dedicated supplement in the eCM conferences website. The 21st edition of the annual conferences of the Swiss Society for Biomaterials and Regenerative Medicine will take place in Lausanne on June 9th and 10th, 2015. Because of the twentieth anniversary of the society the theme will be “Biomaterials – Past and Present”. 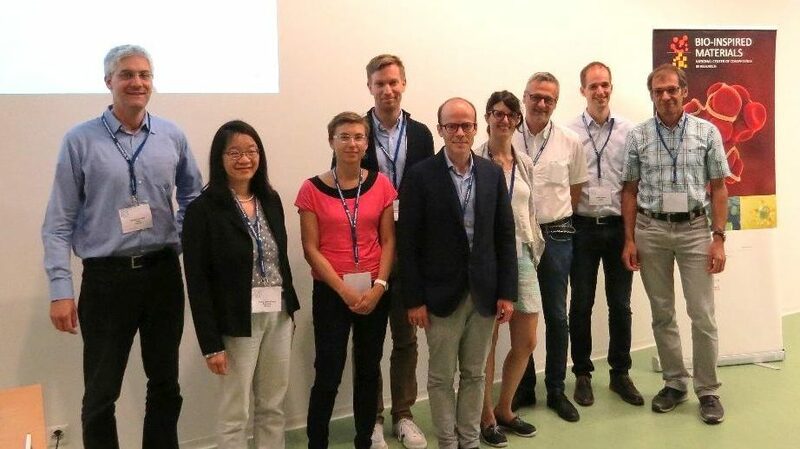 The SSB (Swiss Society for Biomaterials) Meeting was organised for the third time in Davos on June 25–26th, 2013 by the AO Research Institute Davos (ARI), continuing the association of the AO Foundation with the SSB and the history of biomaterials science in Switzerland. This 19th edition will be remembered for the decision to change the name of the Society to Swiss Society for Biomaterials and Regenerative Medicine. In addition to marking the beginning of a new era, this new name reflects a recent transformation that has taken place within the Society. Two decades ago, when the SSB was established, the focus was mainly on ceramics, metal and polymers as materials for medical devices. Today, besides being constituents of medical devices, biomaterials are key ingredients of present and next generation regenerative medicine approaches. This trend is reflected in the scientific interests of the members, from both academia and industry. Another significant innovation were changes to the format of the conference, with the first afternoon session dedicated to young scientists and the second day comprising 2 keynote speakers and 14 selected oral contributions. The first afternoon session involved 7 well-prepared and enthusiastic young scientists presenting their master or PhD research. Notably, 4 of these contributions came from countries other than Switzerland, proof of the capability of the Society to attract professional researchers beyond its national boundaries. Xiao-Hua Qin, from TU Vienna, who presented “Two-photon microfabrication of artificial ECM hydrogel via thiol-ene chemistry“, was awarded the best presentation in the young scientist category. 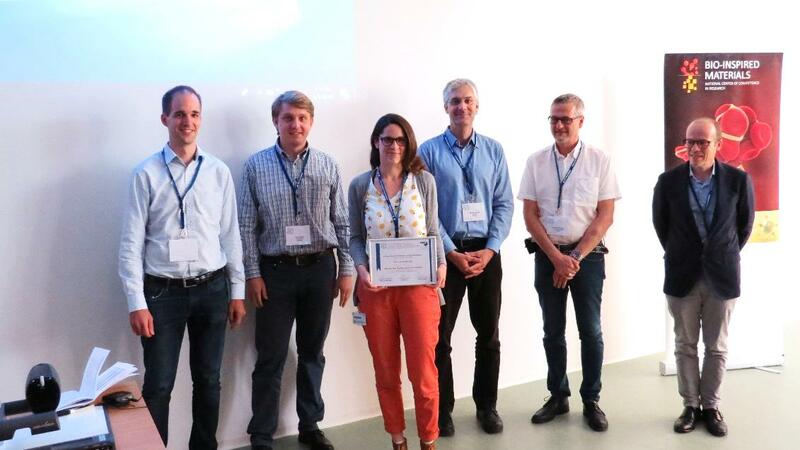 Sabrina Stevanovic from FHNW, Muttenz, received the award for the best student poster for her work on “Remineralisation of carious lesions by self-assembled peptide supramolecular networks“. 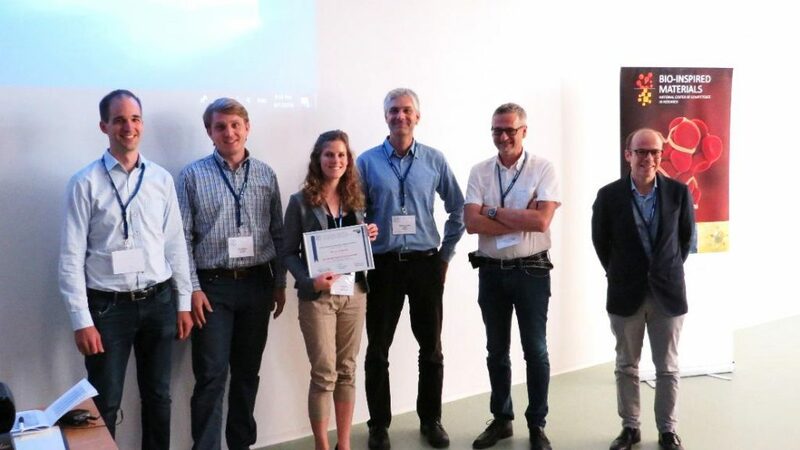 Waldemar Hoffmanm from FHNW, Muttenz, and University Hospital Basel, received, ex aequo the award for the best student poster for his work on “FEM analysis of porous titanium bone scaffolds“. The morning session was opened by keynote speaker Prof. Matthias Lutholf, who fascinated the audience with the impressive results of advanced combinatorial techniques for studying ECM niches. Equally stimulating was the keynote from Prof. Michel Dalstra, who gave a comprehensive review of the X-ray microtomography of bone and other mineralized tissues, embracing interesting historical notes and latest advancements. The resulting program put together by P.-E. Bourban, D. Eglin, B. Müller and C. Wandrey covering this year’s topic Polymers and Biomaterials has been a big success, promoting great interest and scientific discussion. 100 researchers, students, clinicians and industry representatives attended the SSB 2013 meeting. All presented oral and poster abstracts are now published in the eCM conferences website. The 20th edition of the Swiss Society for Biomaterials and Regenerative Medicine will take place in Basel in May 2014. The 2012 SSB Annual Meeting and General Assembly took place in Zurich at the Balgrist Hospital on May 3, 2012. It was organized by Dominique Rothenfluh, Karin Wettstein, Bert Müller and Marc Bohner. The topic of the 2012 conference was “Biomaterials in Orthopaedic Surgery: From Bench to Bedside and Back“. These keynote speakers shared the podium with biomaterials students and scientists from Switzerland and abroad, who presented 9 oral communications, 19 posters, and 12 last-minute posters. All presented oral and poster abstracts are now published in the eCM conferences website. Slightly less than 100 researchers, students, clinicians and industry representatives attended the meeting. The SSB sponsors and the sponsors of SSB 2012 (Balgrist hospital, Medtronic, RMS Foundation, RTI Biologics/Tutogen/Novomedics, and Synthes) are thanked for their support. The 2011 SSB Annual Meeting and General Assembly took place in Yverdon-les-Bains at Y-Parc Technology Campus on May 4, 2011. It was organized by Paul-Henri Vallotton and Agnès Marcel, with the support of Giancarlo Rizzoli, and sponsored by Dentsply Maillefer. The topic of the 2011 conference was “Applications of Biomaterials in Dental and Musculoskeletal Devices“. Morning lectures were all dedicated to orthopedic applications, whereas the afternoon sessions focused on biomaterial research in the dental field. Nora Hild (ETH Zurich) for her poster on “Two-layer Membrane of Calcium Phosphate/Collagen/PLGA Nanofibres with a Composition Similar to Bone: in vitro Biomineralisation and Osteogenic Differentiation of Human Mesenchymal Stem Cells“. Besides these three invited lecturers, there were 12 other oral communications and 43 poster presentations. All abstracts are published on the eCM conferences website. 120 attendees were present at the meeting. The Swiss Society for Biomaterials (SSB) is proud to have hosted the 22nd European Conference on Biomaterials (ESB2009), from September 7-11, 2009 in the Beaulieu Convention Centre, Lausanne. ESB2009 strengthened the scientific basis of the traditional ESB core topics with several changes to the normal ESB conference structure as well as increasing interaction with both the clinical and industrial side of biomaterials. The majority of participants came from Europe but also a considerable number from overseas including Asia and USA. The participants were composed of researchers, medical professionals and manufacturers. ESB2009 attracted clinicians by holding several keynote lectures from clinicians, by subdividing the meeting in day themes. There were 250 oral presentations and over 750 posters. SGO Accreditation – (Schw. Gesellschaft für Orthopädische Chirurgie), 25 credits. Single session clinical plenary followed by state of the art in research plenary. Plenary lectures at both the opening and closing ceremonies. Restrengthened connections to current ESB sister societies. Exhibitor evening to connect the scientists to the industry. ESB2009 drew on the extensive MedTech industry within Switzerland and Europe to bring closer working relationships with industry. We collaborated with alliance, whose function is to connect the French Swiss universities to local industries including MedTech ones. Alliance is also part of the European Enterprise Network whose goal is to help support and build up international technology partnerships within Europe, especially for small businesses. ESB2009 also organized an exhibitor evening. Partnering Event. ESB2009 started each day with the ESB award lectures (Jean Leray and George Winter). This was followed with a new idea at ESB. Remaining as a single session there was a lecture on clinical problems that need to be solved within a theme of the day and a lecture of the state of the art in research of that area. Subsequently, we moved onto the breakout parallel sessions. One of the five parallel sessions continued the “theme of the day”, throughout the day. Pre-meeting and during meeting workshops, which were mainly educational were also held. Another new idea to improve the opening and closing was the addition of plenary lectures at these events. Both the opening ceremony on the evening of the 7th had a plenary lecture from Prof. Jeffrey A. Hubbell and the closing ceremony on the evening of the 11th had the award lecture from Prof Buddy Ratner (where 300 attendees remained). ESB2009 succeeded to connect biomaterial research with current clinical problems to produce progressive translational research and was the venue to present and discuss basic, applied/translational & clinical research in a multi disciplinary environment. ESB2009 also introduced conflict of interest statements (Compulsory Presentation Statements) to let ESB2009 participants better interpret posters and talks declaring any potential conflict of interest that he/she or any co-author of the study might have with the presented data. This will need more enforcement for future meetings, as this was a partial success. Accreditation. The AO Foundation is accredited by the European Accreditation Council for Continuing Medical Education (EACCME) to provide the following CME activity for medical specialists. The EACCME is an institution of the European Union of Medical Specialists (UEMS). The “22nd European Conference on Biomaterials, Lausanne, Switzerland” is designated for a maximum of 27 hours of European external CME credits. Each medical specialist should claim only those hours of credit that he/she actually spent in the educational activity. EACCME credits are recognised by the American Medical Association towards the Physician’s recognition Award (PRA). To convert EACCME credit to AMA PRA category 1 credit, contact the AMA. Conference accrediitation certificate (PDF 43KB). ESB2009 also received 25 points for the congress from SGO (Schw. Gesellschaft für Orthopädische Chirurgie). Thank you for attending and participating to make ESB2009 a very successful and rewarding meeting. Congress Organisers on behalf of the Swiss Society for Biomaterials. Our 2008 SSB meeting was held in Basel on 8 May 2008, under the auspices of Clinical Morphology and Biomedical Engineering (CMBE), the University of Basel Faculty of Medicine’s newest “Schwerpunkt” for research and related education. CMBE is focused on surgery and imaging-related science and technology, including biomaterials and biomechanics. Meeting organizers were Prof. Bert Müller, Ph.D., Head of CMBE’s Biomaterials Science Center, and Prof. A.U. Dan Daniels, Ph.D., Head of CMBE’s Laboratory for Orthopedic Biomechanics. Besides the organizers, members of the Scientific Program Committee were Drs. Kurt Ruffieux and Andreas Zumbuehl. The organizers also received excellent support from the staff and students of their two research groups. As always, meeting topics included all aspects of materials for surgical and medical use and their interactions with cells and tissues, including studies of tissues as materials. Students were again especially encouraged to attend and to submit both oral presentations and posters. Invited lecturers were Prof. Malgorzata Lewandowska-Szumiel, Medical University of Warsaw (Mechanics of material/cell/tissue interactions in vitro) and Prof. Ivan Martin, University of Basel (Bioreactor-based tissue engineering strategies). Afternoon sessions and posters were open to all aspects of biomaterials science. Student award for best oral presentation went to Mirja Nolff (Comparison of computed tomography and microradiography for ß-TCP graft evaluation after mandibular reconstruction), and for best poster to Catherine Schütz (Efficient delivery of photosensitizer for rheumatoid arthritis treatment by photodynamic therapy). In addition to the two invited lectures, there were 15 oral presentations and 49 posters. Abstracts are published as a supplement to European Cells and Materials. There were 115 registered attendees, coming not only from Switzerland but several other countries as well. Conference abstracts are available on the eCM conference website. The 13th SSB Annual Meeting, organized by PX Group, took place in Neuchâtel (DSR – Cité Universitaire) on May 9 and was oriented towards the topic “Micro and Nanotechnologies in Medical Applications: Risks and Opportunities“. During the meeting, 3 keynote lectures, 9 podium presentations and 32 posters were presented. The keynote lectures were held by Mr A. Dommann (CSEM S.A, Neuchâtel, Switzerland; “Polymer MEMS for Medical Purposes”), Mr R. Geertsma (Centre of Biological Medicines and Medical Technology, National Institutefor Public Health and the Environment, Bilthoven, The Netherlands; “Nanotechnology in Medical Applications: Risk Management Issuse for Emerging Technologies”) and Mr O. Gröning (Swiss Federal Laboratories for Materials Testing and Research, Thun, Switzerland; “Nanomaterials: Technological Potential and Risks”). The meeting was attended by about 100 participants coming from 6 countries (Taiwan, Germany, Italy, Romania, Switzerland, The Netherlands). Four student awards were attributed: the award for the best podium presentation was shared by Mr T.J. Brunner (ETHZ; “Comparison of Amorphous TCP Nanoparticles to Micro-sized TCP as Starting Material for Calcium Phosphate Cements”) and Ms F. Cengeli (Lausanne University; “SuperParamagnetic Iron Oxide Nanoparticles: A Multifunctional Tool in Biomedical Applications”) whereas the award for the best poster presentation was shared by Ms K. Jähn (AO Davos; “Effect of a Serum Free Medium containing TGF-β3 on Osteocyte Viability of Cultured Human Cancellous Bone Explants”) and Ms B. Saldamli (Basel University; “Morphology of Osteoblasts Grown on Doped Diamond-Like Carbon Coatings – An Electron Microscopy Study”). During the meeting, the President of SSB, Mr Jacques Lemaître, was awarded the title of Honorary Member of the Romanian Society for Biomaterials. Conference abstracts are available on the eCM conferences website. The 12th SSB Annual Meeting took place on May 10 in Grenchen (Park Theater) under the organization and the sponsoring of the Robert Mathys Foundation. The topic of the meeting was “Absorbables, Degradables and Resorbables“. During the meeting, 2 keynote lectures, 12 podium presentations and 23 posters were presented. The keynote lectures were held by Mr M. Vert (University of Montpellier 1, France; “Biocompatible, biofunctional bioresorbable polymers for temporary therapeutic applications: the concept of artificial biopolymer”) and Mr J. Lemaître (EPF Lausanne, Switzerland; “Bioresorption of bone substitutes based on calcium phosphates”). The meeting was attended by 90 participants coming from 6 countries (France, Germany, Italy, Romania, Switzerland, The Netherlands). Ms V. Simon (Cluj-Napoca; Romania) and Ms M.D. Vlad (Iasi, Romania) received the SSB 2006 travel award (500 CHF each). The two student awards were given to Ms B. San Miguel (Zurich; “Enhanced bone regeneration by a bioabsorbable and bioactive PLGA membrane”; best podium presentation) and to Mr L. Pfister (Zurich; “Controlled release of glial cell line-derived neurotrophic factor from biodegradable nerve conduits”; best poster presentation). Abstracts are published on the eCM conferences website. The SSB has 188 members and 18 sponsors. June 1: 11th Annual Meeting of the SSB, at Medicoat Company, Mägenwil, organized by Dr. Heiko Gruner, Medicoat, with M. Bohner, Dr. J. Mayer, Prof. M. Textor, P.H. Valloton, and P. Gruner. Topic: Treatments of Surfaces. The keynote lectures are given by Prof. Julie Gold, Göteborg, on “Surface modification of biomaterials from an academic research perspective”, and by Prof. Marcus Textor, ETH Zürich, on “Surface modifications to direct biological response to inorganic materials”. The SSB introduces another price for the best oral presentation. Abstracts were published on the eCM conferences website. 80 participants attend. The SSB counts 170 members and 14 sponsors. The sponsors take advantage from the fact that they are linked to the SSB website, and can use the SSB website to announce job opportunities. Abstracts were published on the eCM conferences website. The meeting was attended by 90 participants. Due to his retirement, Dr. Wolfhart Rieger steps back from the presidency and Dr Jacques Lemaître is elected President. The SSB introduces a new kind of membership, the “Lab membership”, to facilitate the participation of groups of scientists working in the same laboratory. The SSB has 145 members, including 8 lab memberships, and 12 sponsors. The SSB introduces 2 new types of awards, to be applied for by doctoral thesis students who are members of the SSB: the “Student travel award” and the “Thesis binding award”. The 9th Annual Meeting and General Assembly was organized at the University of Neuchatel on May 14th, 2003 by PX Tech SA. The meeting was organised by Dr. Lucien Reclaru, Dr. Andreas Blatter and Pierre-Yves Eschler (PX Tech SA). The committee was supported by Dr. Jacques Lemaître (SSB Vice-President), Prof. Heinz Lüthy and Dr. Marc Bohner (SSB EC members), Dr. R.G. Richards (Web and Journal Supplement Editor) and Dr. Marc Petitmermet (SSB Webmaster). The invited lecture was given by Prof. Etienne Schacht, Polymer materials research group, Ugent, Ghent, Belgium with the talk “Biodegradable polymers for biomedical application”. Abstracts are published on the eCM conferences website. The meeting had a very high attendance of 119 participants. During the meeting Prof. Pierre Descout who retires from the SSB executive committee, after nomination from the SSB EC became an honorary member. The 8th Annual Meeting and General Assembly was organized at the University of Geneva on May 22, 2002. The meeting was organised by Prof. Jean-Marc Meyer, Faculty of Medicine, Geneva, Prof. Pierre Descouts, Faculty of Sciences, Geneva, Dr. Björn-Owe Aronsson, GAP Biomedical, Geneva, Dr. Serge Bouillaguet and Dr. Maria Cattani-Lorente, School of Dentistry, Geneva. The invited lecture was by Prof. Dr. Peter Greil from University of Erlangen-Nuernberg, Germany on “Microstructure Design of Advanced Bioceramics”. Abstracts were published on the eCM Conferences website. The meeting was attended by 69 participants. The SSB counts 122 members and 8 sponsors. May 16: 7th Annual Meeting of the SSB, at Straumann Institute in Waldenburg, organized by Dr. Reto Lerf, Dr. Daniel Snétivy, Dr. Wolfhart Rieger, Dr. Geoff Richards and Mrs. Ingrid Limbach. Thanks to the spontaneous action by Institut Straumann, which took over the task from CIBA Vision, the meeting can be organized in a last minute concerted action! The topic is Titanium and Metallic Dental Implants. The invited speakers are Prof. Steinemann, Institut Straumann, and Prof. Perren, AO Davos. Professor Erich Wintermantel leaves Switzerland for Germany and therefore steps back from presidency. The vice-president since the beginning of the Society, Dr. Wolfhart Rieger, is elected as President. Abstracts were published on the eCM Conferences website. 89 people attend. The SSB counts 100 members. The EC proposes, and the GA approves the start for a sponsoring program to attract more funds to be used for young scientists. June 8 (afternoon) and 9: 6th Annual Meeting of the SSB, at AO Foundation in Davos, organized by Prof. Berton Rahn and Armando Gisep. The meeting is attended by 40 visitors. The keynote lectures are given by Dr. J. Gobrecht, Würenlingen, and Prof. B. von Rechenberg, Zürich. Prof. Jean-Marc Meyer steps back from presidency and Professor Erich Wintermantel is elected as new president. The SSB improves its appearance in the world-wide-web and appoints Dr. Marc Petitmermet, Zurich, as webmaster of the new SSB website. Furthermore, the SSB appoints the newly founded Online Journal European Cells and Materials, initiated by Dr. Geoff Richards, as its official journal. A very important point in the SSB history is the affiliation to the European Society for Biomaterials (ESB), which becomes reality on Dec 19, 2000, after first contacts had been made on the occasion of the World Biomaterials Congress in Hawaii in May 2000, by W. Rieger. October 8: 5th Annual Meeting of the SSB, at ETH Zurich, in conjunction with Biosurf III (October 7 and 8), organized by Prof. Jeffrey Hubbell. This 2-day meeting, with one day reserved for the SSB, is attended by more than 100 visitors. The keynote lectures are given by Prof. D. Letourneur, Paris, and Prof. Bengt Kasemo, Göteborg. The topic of the meeting can be summarized under the term: Drug Delivery and Cell Technology. For the first time, the SSB presents a Best Poster Prize (1000 CHF). The SSB counts 83 members. May 12: 4th Annual Meeting of the SSB, at Stratec Medical in Oberdorf, organized by Dr. Reto Lerf and Dr. Sandro Matter, Stratec Medical, Oberdorf. The topic is Bone Morphogenesis. The keynote lecture is given by Prof. Vukicevic, Belgrade, on Bone morphogenetic proteins. 79 attend. May 6: 3rd Annual Meeting of the SSB, at EPFL, Lausanne, organized by Dr. Jacques Lemaître, Laboratoire des poudres, EPFL, Lausanne, together with H.J. Mathieu, P. van Landuyt, P. Aebischer and J.-F. Clement. The Topic is Biomaterials, the invited speakers are Prof. P.Y. Zambelli, Lausanne, and Prof. Hasan Uludag, Andover. The meeting is accompanied by an exhibition, in which 7 exhibitors participate. May 8: 2nd Annual Meeting Of The Swiss Society Of Biomaterials at Sulzer Hochhaus in Winterthur, organized by Dr. Peter Bittmann, Sulzer Innotec, Dr. Wolfhart Rieger, Metoxit AG, and Dr. Armando Salito, Sulzer Metco. Topics: Orthopedics and Dental Implantology. Invited Speaker: Prof. Dr. David Williams (Dept. of Clinical Engineering, Liverpool, UK) “New Developments in our Understanding of Biocompatibility”. 17 May 1995: Founding meeting of the “Swiss Society of Biomaterials” in Berne and approval in general assembly of the charter and bylaws. An invited speaker, Prof. Jim Anderson (Houston, Texas), brought a great scientific aura to this first meeting, held in the cupola room of the University of Berne. An Executive Committee has been appointed, including: President: Jean-Marc Meyer, Vice-president: Wolfhart Rieger, Secretary: Heinz Lüthy, Treasurer: Hans-Peter Merkle, Members: Peter Bittmann, Pierre Descouts, Ludwig Gauckler, Heiko Gruner, Armando Salito, Robert Streicher. The president, Jean-Marc Meyer, establishes a first website, which helps to make the SSB better known to the interested public. Furthermore, it helps to keep contact with the members. Jean-Marc Meyer is nominated as provisional president of the Swiss Society of Biomaterials (later to be officially changed into Swiss Society for Biomaterials, SSB). A first circular letter is sent on September 13, 1994, to all potential members in Switzerland, offering membership and announcing the first General Assembly due next May 1995. Monte Verità Conference 1993 on Biocompatible Materials Systems, October 11-14, 1993, Ascona, Switzerland. It gave birth to the idea of creating a group to explore the possibilities of organizing a scientific society involving all those who are active with biomaterials in Switzerland. This informal group, the Swiss Working Group in Biomaterials, was formed around that idea of creating a scientific society in Switzerland related to biomaterials. The group, including Professors Patrick Aebischer (CHUV), Pierre Descouts (UNIGE), Eric Doelker (UNIGE), Ludwig Gauckler (ETHZ), Robert Gurny (UNIGE), Heinz Lüthy (UNIZH), Hans-Peter Merkle (ETHZ), Jean-Marc Meyer (UNIGE), and Doctors John Ranieri (CHUV), Wolfhart Rieger (Metoxit), will then meet several times in Geneva and in Berne, to discuss the creation of that society, its aims and to elaborate a charter and the bylaws.